Spring and Summer are my favorite times of the year to experiment with different hair styles. 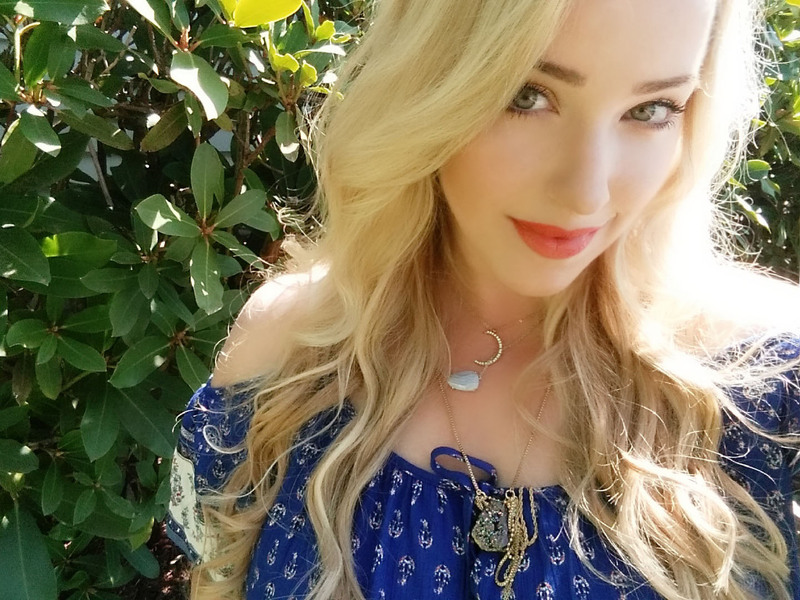 Relaxed, bohemian, and beachy hair styles are a few that I am especially fond of. On lazy warm days who wants to fuss with high maintenance hair? Laid back looks are also perfect for those like myself who are not great at styling hair. I am envious of those beautiful intricate braids that you see on Pinterest but my braiding skills are zilch! Therefore, my go-to warm weather hairstyle is effortless bohemian waves that anyone can do. Add a flower crown and you will be catapulted back to the 70's! 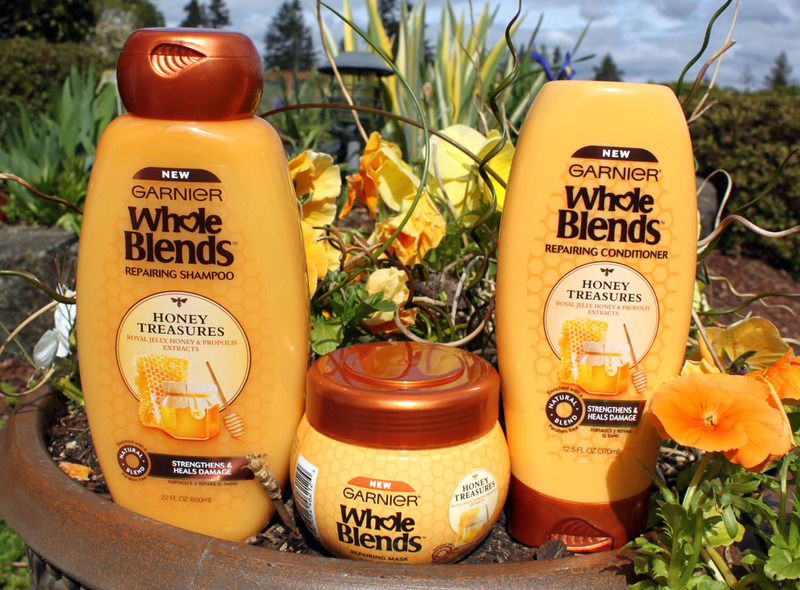 For naturally beautiful hair, discover the wholesome goodness of New Whole Blends shampoos and conditioners by Garnier. 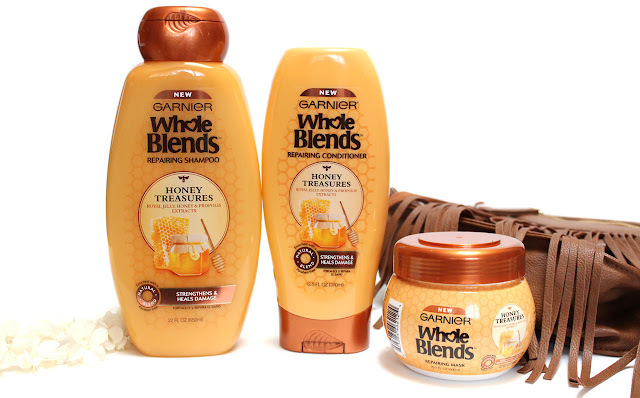 Garnier Whole Blends Hair Care Line comes in a variety of treatments that are specific for your hair care needs. With Carefully-selected ingredients in formulas made to nourish deeply, hydrate, and repair there is a blend for every hair type. 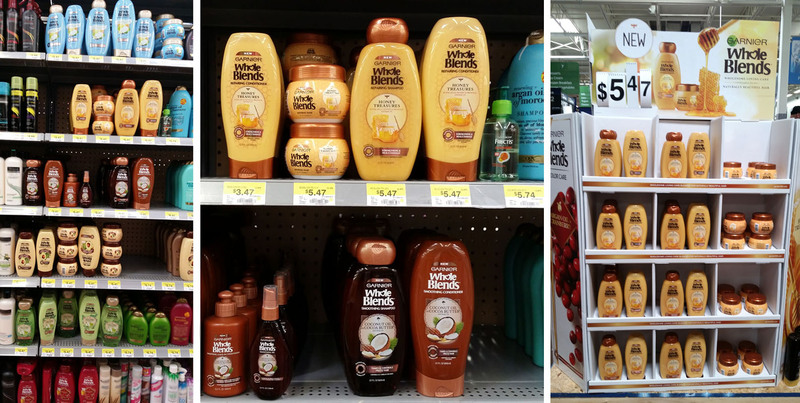 From Hydrating Coconut Water and Vanilla Milk to Refreshing Green Apple and Green Tea they are wholesome loving care, blended for naturally beautiful hair. Check out the new Garnier Whole Blends Hair Care line at Walmart. You can find the line in the Health & Beauty section or look for them on their own in-store display. 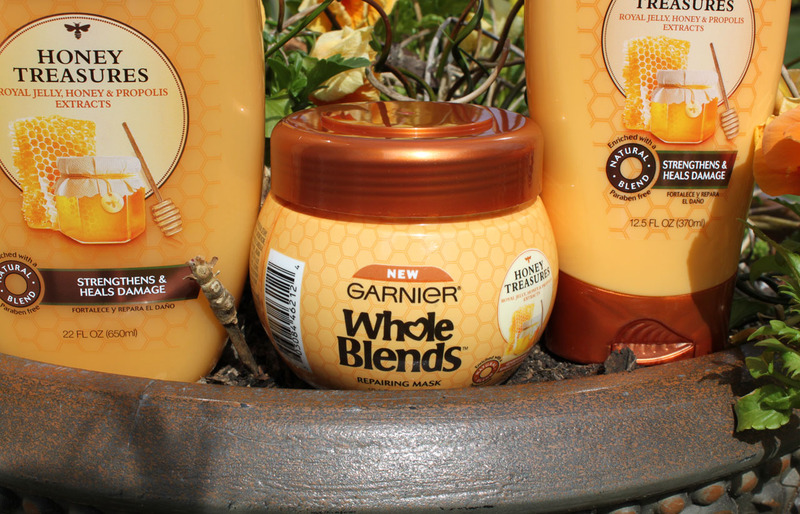 Having fine, color-treated hair I chose the Garnier Whole Blends Repairing Hair Care Honey Treasures. The luscious formula with the essence of royal jelly, honey, and propolis offers nourishing repair for damaged hair. 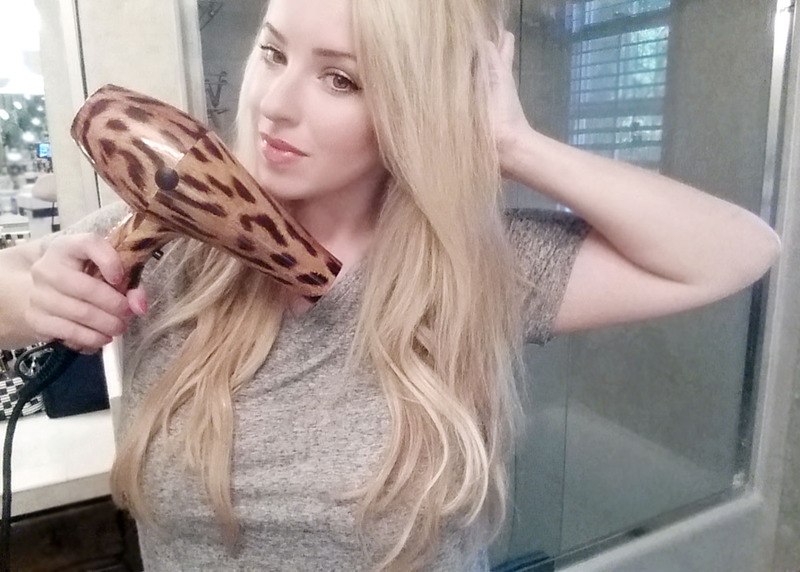 My hair is fragile from highlighting and heat styling so it can always use some extra TLC. 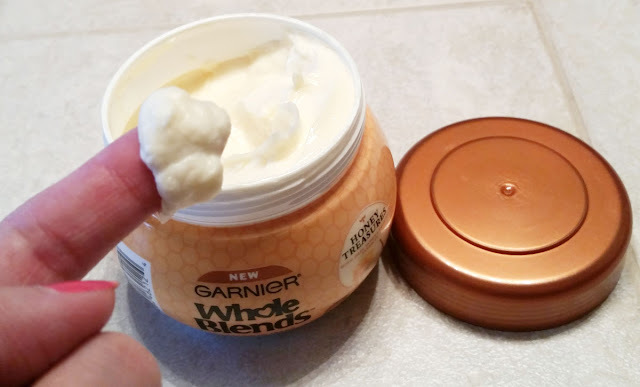 I really appreciate Garnier's commitment to making products that are both good for your hair and good for the world we live in. Whole blends are made with out parabens and they have partnered with TerraCycle® to keep beauty products out of landfill. 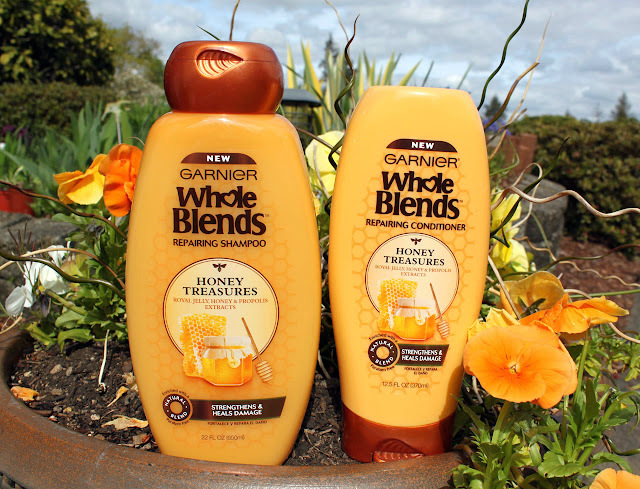 I begin by washing my hair with Garnier Whole Blends Repairing Hair Care Honey Treasures Shampoo & Conditioner. This duo leaves my hair feeling clean, moisturized, and soft to the touch. I often battle dry split ends, with this shampoo and conditioner my hair was easy to comb through and my ends felt rejuvenated. This is also the moment when you will notice how amazing these products smell! The deliciously sweet scent of honey is like Summer in a bottle. 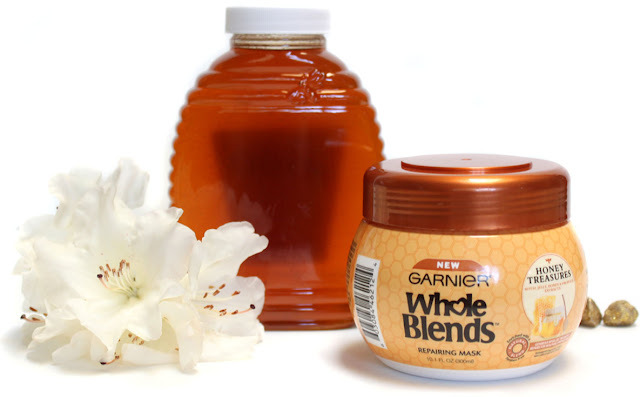 Honey is one of nature's best beauty products. 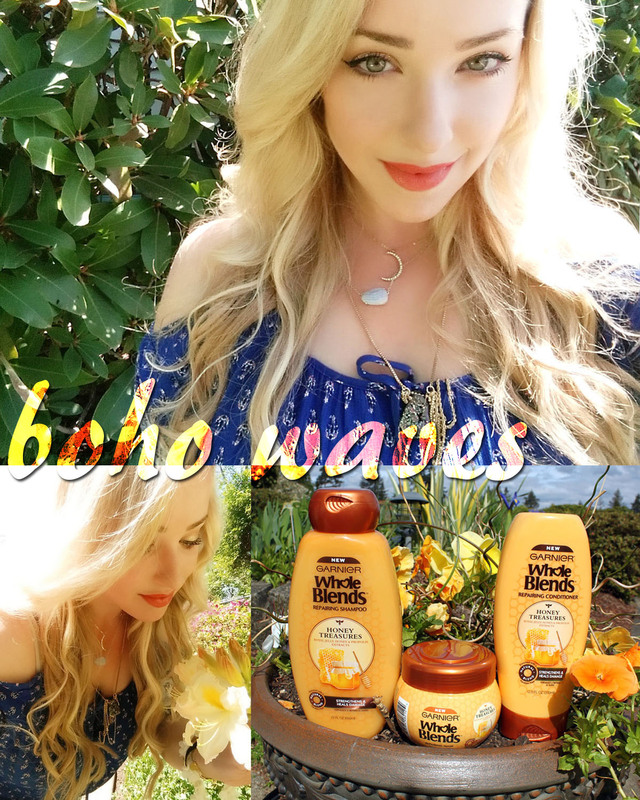 It is a wonderful ingredient to have in your hair care products when you have blonde hair. 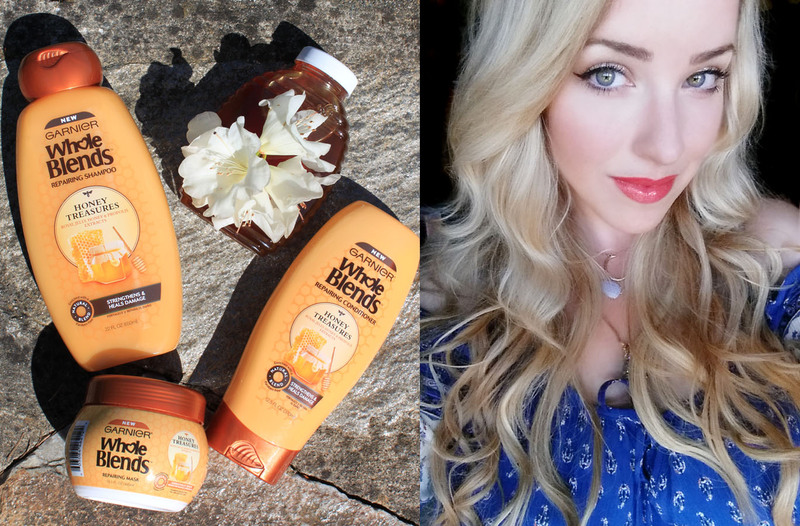 My hair always looks shinier with a brightened sunkissed look when I use products containing honey. Spending more time outdoors in dry warmer climates means hair can start feeling like straw. 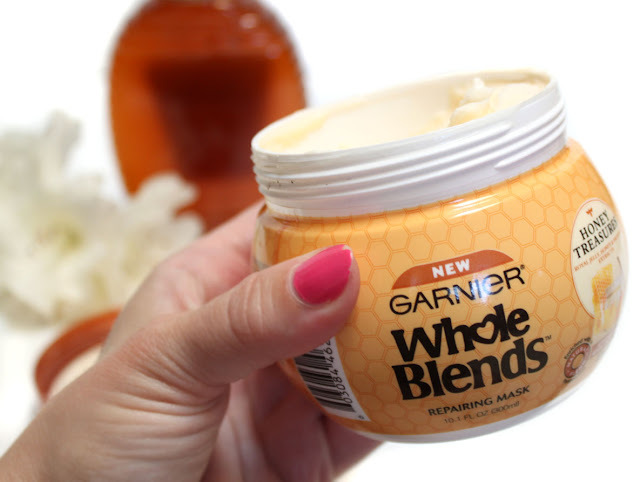 The Garnier Whole Blends Repairing Hair Care Honey Treasures Mask helps mend damage and brittleness, and strengthen strands for renewed, healthier hair. This luxurious mask only needs to be left on for 3 minutes. It brings life back to your hair in no time! Being able to do a deep conditioning treatment right in the shower with out having to wait 10 or more minutes for it to take effect is awesome. My hair feels silky soft and smells amazing after I use it. The sweet vanilla honey scent lingers on your hair even after dry. After washing and conditioning I spray on a heat protector and add a dab of volumizing cream to add body. Then I blow dry until mostly dry. I added in a few extensions because I like extra length when it comes to wavy styles. 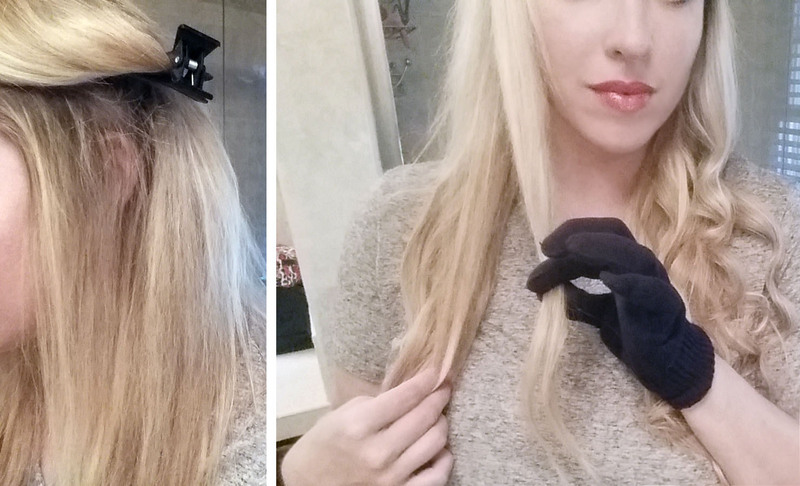 Clip your hair up in to two to three sections depending on the thickness of your hair. I have fine thin hair so I only need two sections. Section 1-2 inch pieces of hair off and start curling. 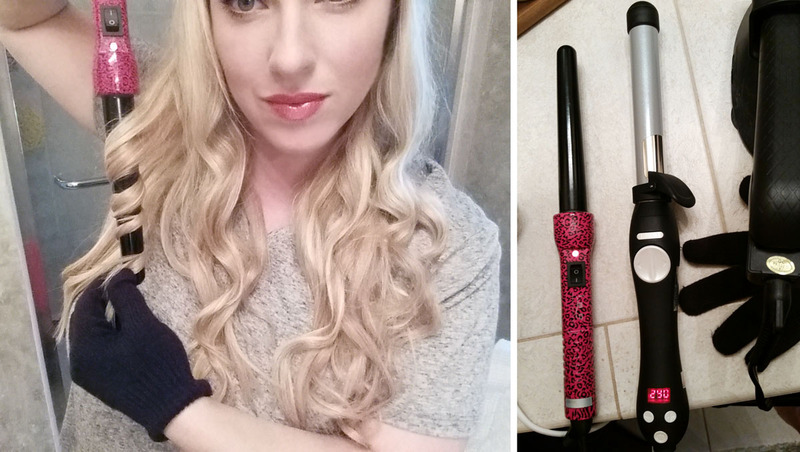 Using a 1 inch curling wand wrap 1-2 inch pieces of hair vertically around the wand rotating both towards and away from the face. Be random with your wrapping, we want messy waves not perfect curls. Continue around the whole head until completely curled. Finish up by using a texturizing spray from roots to ends to add piecey texture and definition. 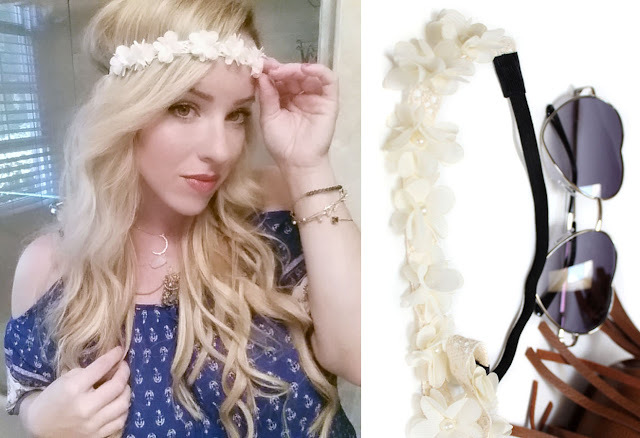 Top off your bohemian look by adding a beautiful flower crown accessory. I picked this one up right at Walmart while I was shopping for my Garnier Whole Blends Hair Care. 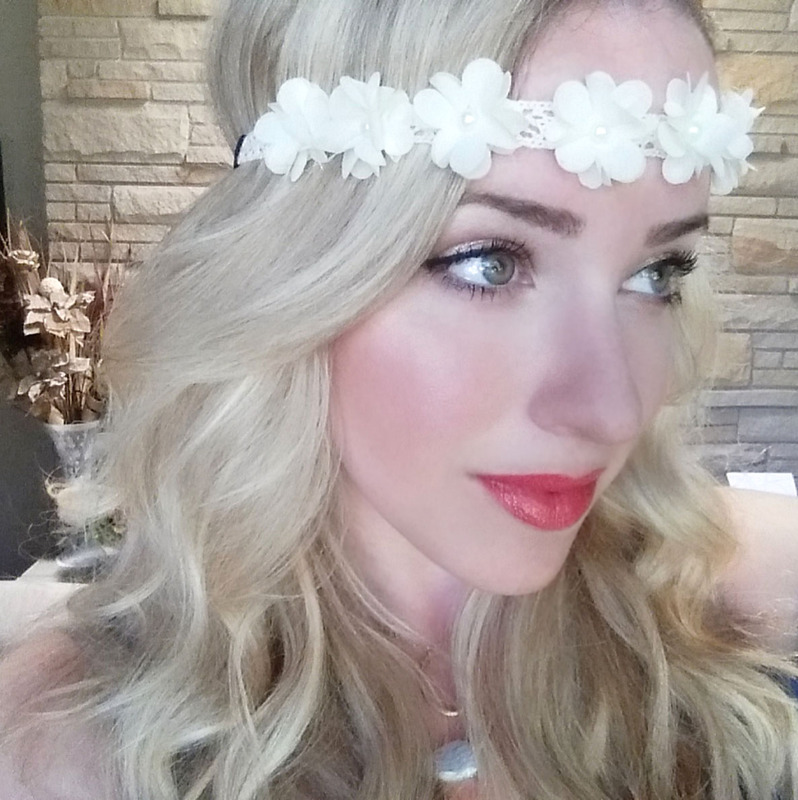 There is something about putting on a flower crown that makes you feel like dancing in a grassy field to Janis Joplin or the California desert to Guns N' Roses! Make your boho waves truly bohemian by taking that style we just spent so much time on and mess it up! 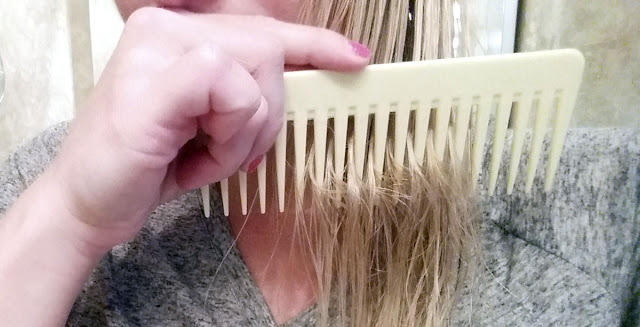 Run your fingers through your hair to soften the curls and give it a lived in look. 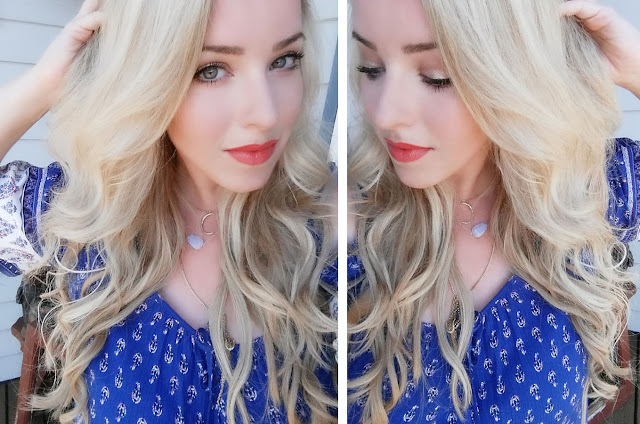 I hope that you will try out this carefree warm weather hair style for yourself. You can check out the entire Whole Blends line here. Which blend will you be trying?